Orange County Mayor Teresa Jacobs joined distinguished panelists, economists and guests at the Orange County Convention Center for the 2016 Economic Summit on Thursday, Jan. 21. Now in its fourth year, the Economic Summit is hosted annually by Mayor Jacobs and provides an annual report on the economy, and highlights strong business sectors and growing industries. This year’s Summit was attended by more than 650 citizens and community leaders eager to hear about the region’s flourishing economy. Fred Kittinger, associate vice president of university relations and director of state and local government affairs at the University of Central Florida, presided as the event’s Master of Ceremonies. Mayor Jacobs kicked off the Summit by reiterating her support of the region’s strong modeling, simulation and training (MS&T) sector, and the exponential growth of the Central Florida’s digital and technology sectors. The region’s MS&T sector contributes more than $4.8 billion to Florida’s gross state product and directly employs more than 27,000 Floridians, with an average annual salary of almost $70,000. Nationally recognized economist Sean Snaith, Ph.D., director of the University of Central Florida’s Institute for Economic Competitiveness, provided his annual economic forecast at the Summit. Snaith noted that the economy in 2015 ended on a strong note with job creation, which was not just in leisure and hospitality, but other high-paying sectors. Orlando EDC’s Year of Opportunity. This year, the Summit featured a Technology Entrepreneur Panel, which included Donna Mackenzie, executive director of FireSpring Fund; Josh Brown, founder and CEO of PowerDMS; Phil Dumas, founder of Unikey Technologies and Richard Licursi, managing partner and co-founder of venVelo. The panel gave an overview of the County’s growing technology ecosystem and highlighted what is needed to continue growth and make Orange County the hub for innovative entrepreneurship providing high paying jobs and economic advancement. 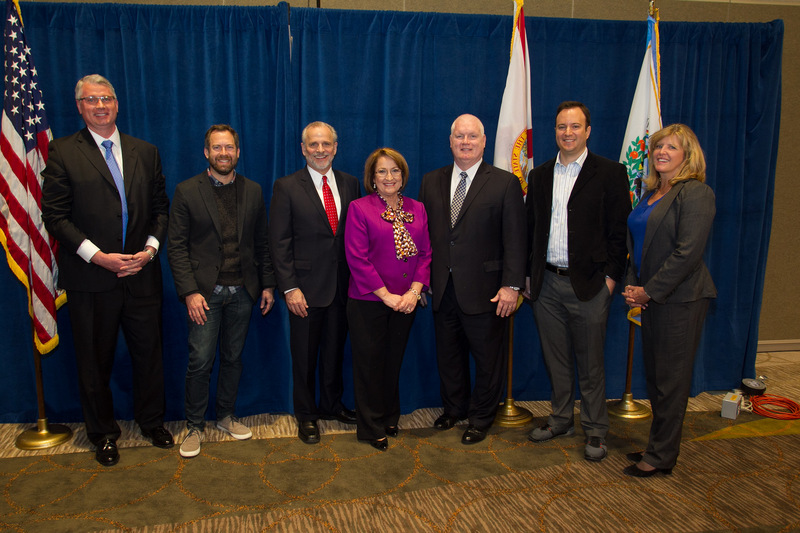 Immediately following the Economic Summit, Mayor Jacobs hosted the inaugural Florida TechMatch, an event that paves the way for local tech companies to build relationships and contracts with national industry leaders. “TechMatch is a natural continuation of our Economic Summit series, because it encourages established companies to learn about the unique skills and innovations that are happening throughout Central Florida,” Mayor Jacobs said during her remarks opening Florida TechMatch. During Florida TechMatch, more than 80 tech vendors met with 30 corporate buyers representing companies and organizations like Orlando Health, Universal Orlando, Bright House Networks and Clean the World. The Mayor’s annual Economic Summit was launched in 2013 following a series of nine economic and job summits designed to examine the area’s varied needs. Those meetings, held in 2011 and 2012, focused on key geographic regions and industries such as life sciences, clean technology and international trade. Photos from the 2016 Economic Summit and Florida TechMatch may be found on Flickr for use by the media.